The Victorian Chamber of Commerce and Industry’s policy forum entitled ‘Liveability and the visitor economy’ focused on how Victoria’s world class reputation as a multi-faceted visitor destination can be leveraged for business success, in a climate of increased global competition, rising costs and a growing population. Infrastructure Victoria was created in October 2015 as an independent advisory body to the Victorian Government (the government), tasked with developing Victoria’s first ever 30-year infrastructure strategy. The strategy includes 137 recommendations “for improving the provision, operation, maintenance and use of the state’s infrastructure”. The strategy recognises that to create the future we want Victorian’s need to think differently and act differently. This requires them to change their behaviour, in terms of how they use infrastructure, and be part of the solution. Building new infrastructure is not necessarily the best way to meet Victoria’s needs. We also need to consider current demands placed on existing infrastructure and how we can use these assets more efficiently. Ultimately, this can be a cheaper and more efficient option to address our future needs. In regard to an airport rail link, Victoria needs to be clear about the problem we are trying to solve. Is it, enhanced reliability of the service or increased speed for visitors travelling from the airport to the CBD? 2-5 years of good planning design is required to agree on exactly what is required, prior to going to engineers and asking them to build it. Over the next 10-12 years, more Skybus and roadside services and better traffic management will address Victoria’s airport transport needs. The Melbourne Airport is a fundamental gate to Australia. Victoria should embrace anything that makes it more efficient. The airport’s non-curfew status is a blessing, but should not preclude further development of the nearby precinct. If a change in paradigm to non-car ownership could be effected, where mobility is simply seen as a service, this would be a game-changer for future development of Victorian infrastructure. Making public transport a free service is not the answer to increasing its use. 70 percent of every dollar paid to meet the cost of public transport is paid for non-public transport users. Victoria needs to return to employing the logic of a ‘user pays’ system, where those who benefit from using public transport also pay for it. In regard to the Free Tram Zone, Melbourne needs to be clear about the problem we are trying to solve. Addressing asset management and maintenance is critical, particularly in regional Victoria, to encourage visitors to our state to spend time there. Victoria needs to be clear on what our state’s “natural endowments” are and focus on the hard and soft infrastructure that supports ease of access to these areas. Positive guest and visitor experiences, including enjoying Victoria’s major events, starts when people leave their homes or hotels and ends when they get back. Effective infrastructure planning plays a large part in ensuring these experiences are positive. Competition for business events is at the highest level Victoria has ever seen. Where historically 2-3 cities were competing for business events, this number is now 10. Australia competes for these events in the Asia/Pacific region, where 120 new convention centres have been built in recent years. There is very strong government support for this sector in Seoul and Singapore, countries that also attract strong trade, investment and innovation events. Hotel meeting room spaces will need to change to meet this shift in demand, with the adoption of indoor/outdoor spaces and lots of space for collaboration. As such, conference programs and content will become more important than ever. Countries competing for business conferences and events in the Asia/Pacific region all now have similar infrastructure to support event access and delivery. Victoria needs to remain clear about our unique selling proposition, for example, when attracting biotech events, all related industry stakeholders are ‘on-message’ and do what is needed to support the activity. Victoria’s food profile and reputation need to be amplified and further enhanced as a competitive advantage. The threat of terrorist related activity has, necessarily, changed global thinking on the management of large crowds of people. We must realise that Victoria is not immune to this threat. This threat has also resulted in visa challenges, in terms of getting people and conference delegates into the United States. This presents an opportunity for Melbourne to explore, given easier access and entry. As an industry, we need to be active and create a political platform to reinforce the importance of the tourism sector, particularly given the strong economic returns generated by business events, where spend per delegate is circa $1,000 per day; they often bring another person, sometimes two, with them, and their average length of stay is five days and six nights, that also includes one day in regional Victoria. Two new Accor properties are currently under construction. 35 hotel projects are currently under consideration in Melbourne, although all won’t be built. Hotel owners should also consider the benefits of updating their current hotel stock to make it more attractive to visitors. Airbnb’s market share in Melbourne is considered to be circa 18 per cent, as opposed to 4.5 per cent in Sydney. There is a massive growth in the shadow supply of rooms. Reflecting market trends, there is now less reliance on hotel ‘brand standards’ and, necessarily, more attention paid to assisting guests to engage with and in the local community in which they are staying to shape a better guest experience for them. Accor’s guest feedback reflects that visitors find the airport arrival experience a challenge, as is their ability to obtain information on Victoria’s regional tourism product offers. Visitors find the city’s grid pattern easy to navigate (evidenced by the fact that 85 per cent of international tourists hop on a tram within 24 hours of arrival in the city) and consider that Melbourne’s conference centres, restaurants and sporting precincts are easy to access. Victoria should use the ‘halo effect’ of tourism to build investment in the state, for example, as South Australia has done with the Barossa wine region. Business event tourism provides strong returns for the hotel industry, where the retention of hallmark events in Victoria is critical. 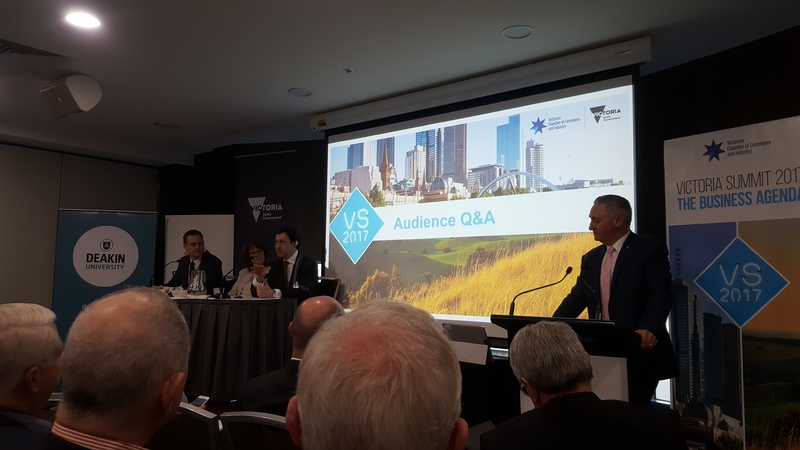 Currently, investment in hotel projects in many regional areas of Victoria doesn’t stack up, given there are not multiple demand drivers to attract visitors to the particular region. Building regional infrastructure will result in events being built around this infrastructure. Thereafter the tourism product within that region will grow and hotel investment will become more viable.